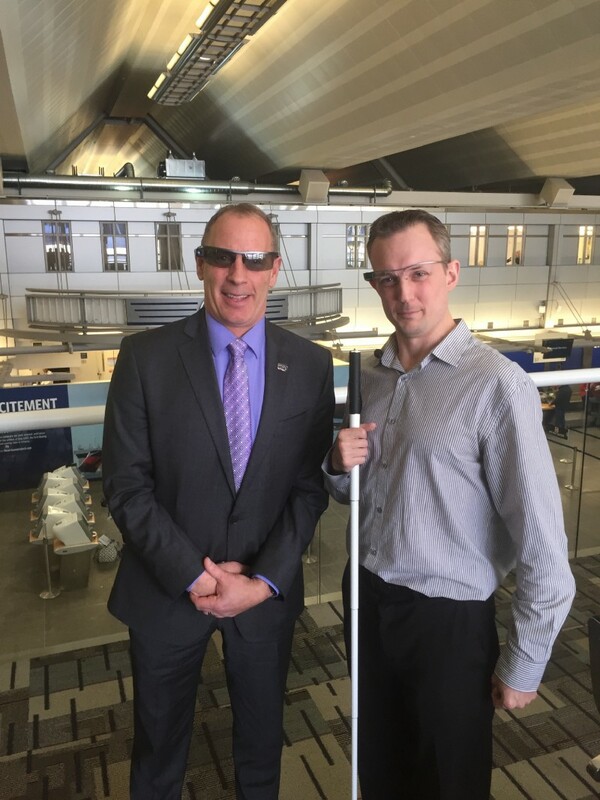 Aira, the world’s fastest-growing assistive technology service for people who are blind or low vision, is pleased to announce that the Minneapolis-Saint Paul International Airport (MSP) has joined the Aira Airport Network. Aira customers who travel through MSP will now be able to access on-demand assistance from a remote Aira agent, free of charge, while at the airport. Joining Memphis International Airport in the network, MSP is embracing the right of blind and visually impaired (BVI) travelers to the same access to visual information as the sighted. Aira empowers the BVI community to engage, explore and experience the world around them by providing real time visual assistance when and where it is needed. Using a pair of camera-enabled smart glasses and a mobile app, Aira subscribers connect with remote, sighted assistants, who can provide visual descriptions of their surroundings and convey useful information about the environment. At the airport, travelers can use Aira to help navigate security lines, get updates on gate changes or flight delays, or identify bags at baggage claim. By joining the Aira airport network, MSP has committed to providing complimentary service to Aira subscribers while on site, allowing blind and low vision customers to access the service without using minutes from their existing plan, and with no additional cost to them. Aira was recently recognized by USA Today as a top airport amenity. This partnership represents a major step toward MSP’s goal of becoming the most accessible airport in the world. A major addition to the Aira Airport Network, MSP is one the busiest airports in the country, serving more than 37 million travelers on 400,000 flights per year. Brian Ryks and Greg Stilson each wearing Aira glasses in front of a glass balcony at MSP airport. Minneapolis-St. Paul International Airport is the nation’s 16th busiest, serving more than 37 million travelers annually. MSP is Delta Air Lines’ second largest hub and home to Minnesota-based Sun Country Airlines. Sixteen airlines operate at MSP, offering direct service to more than 150 domestic and international destinations.